by marc / Thursday, 31 January 2019 / Blog Category: Entertainment and Everything Vegas. Mindfreak coming to Planet Hollywood started a Caesars Entertainment show shuffle. 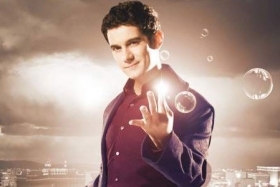 Having two magic shows at the same casino doesn’t make much sense so Xavier Mortimer’s show had to relocate. “Magical Dream” is now down the street at Bally’s. There was an empty entertainment slot at Bally’s when Wayne Newton’s show moved to another Caesars Entertainment property. You can now catch “Up Close And Personal” at Cleopatra’s Barge inside Caesars Palace. Whew! That’s a lot of moving parts. Xavier Mortimer’s “Magical Dream” will expand to a larger stage and showroom with its move to Bally’s Las Vegas’ 250-seat Windows Showroom. Magical Dream will also introduce astounding new visuals than the Sin City Theater at Planet Hollywood. Mortimer began performing on the Las Vegas Strip in 2013 when he joined Cirque du Soleil’s acclaimed production, Michael Jackson One. He is the first performer from a Cirque du Soleil production to headline his own show on the Las Vegas Strip. After Cirque, Mortimer started “Magical Dream” at Planet Hollywood in 2016. The 70-minute production depicts Mortimer’s dream world and his quest to win the affection of his love interest, Belle, played by Allie Sparks. The show has 14 acts of spellbinding illusions, eccentric characters, dancing, and animations. The show is set to an original soundtrack composed by Mortimer and Maxime Rodriguez. The move to Windows Showroom will allow Xavier Mortimer’s Magical Dream to expand. The show will introduce extraordinary new visuals. Even though there’s a bigger room the show will continue to offer multiple opportunities to invite audience participation. We’ll have more of an in-depth blog post about the “Concerts on the Beach” series at Mandalay Bay soon. Since there is an early announcement for a concert we want to give country music fans a heads up. Cole Swindell will be performing a concert outside on the beach at Mandalay Bay on Saturday, April 27 at 9 p.m.